Beautiful peony hair flowers and organza ribbons are set on a jewelled headpiece. An exquisite flower headpiece inspired by the beauty of vintage eras, our Blooms and Ribbons Headpiece features pretty ivory satin peony hair flowers and delicate organza ribbon set upon an adornment of sparkling clear Austrian crystals and ivory faux pearls. 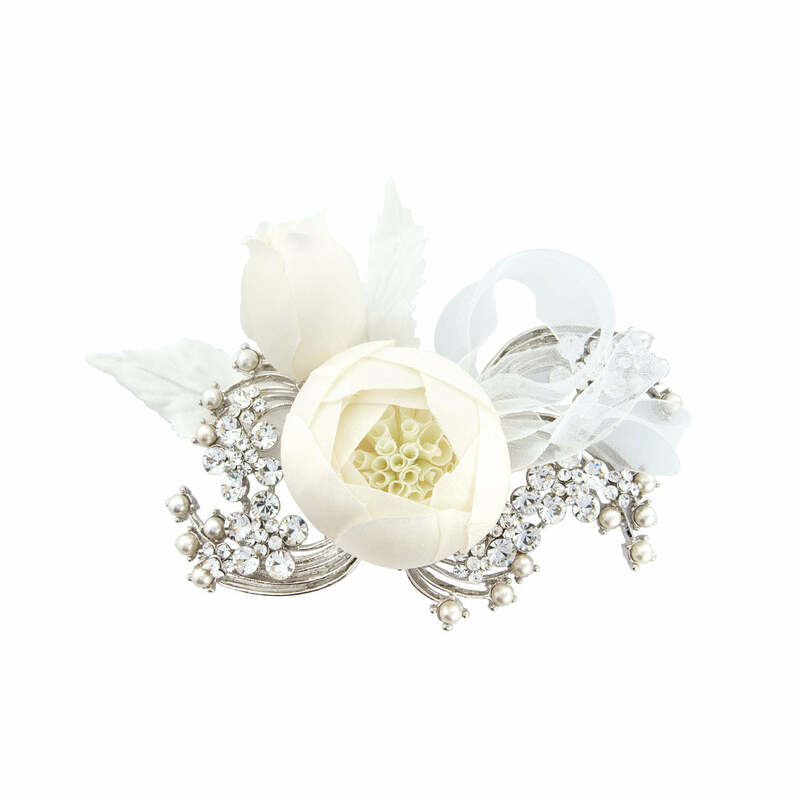 This stunning hair accessory blooms with romance and is breathtakingly beautiful. 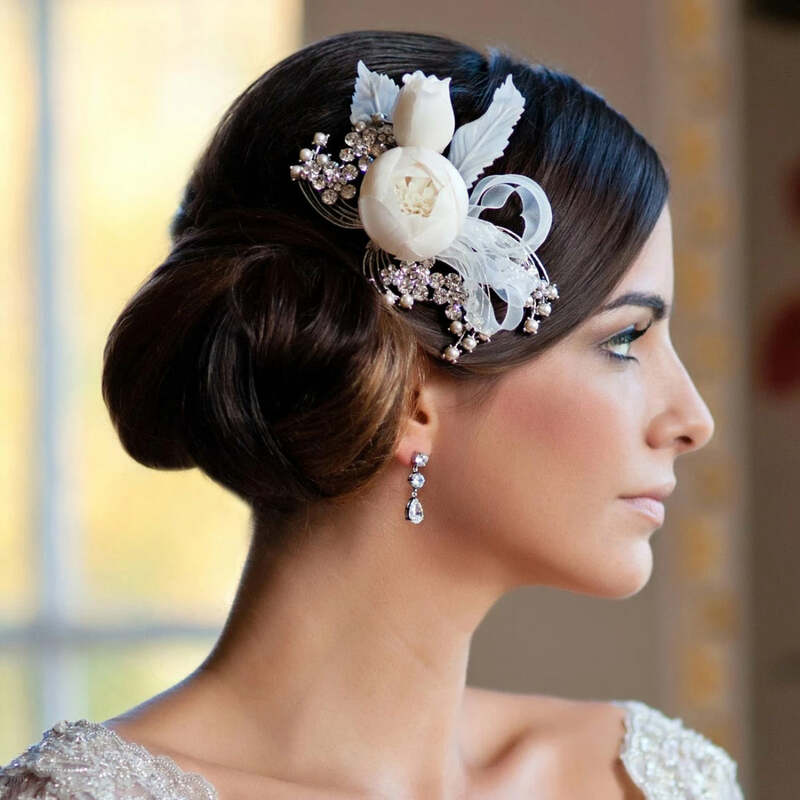 With a small concord clip fastening to keep it in place, Blooms and Ribbons Headpiece looks divine with a soft chignon or fastened at the side of any bridal up-do. Wear our exquisite wedding headpiece with a pair of petite pearl or crystal earrings to complement an elegant gown for timeless and enchanting vintage bridal style.